Cessna has flown the first production configured Turbo Skylane 182 JT-A. The aircraft has the distinction of being the first modern single-engine aircraft powered by a piston engine specifically designed to run on Jet-A fuel. 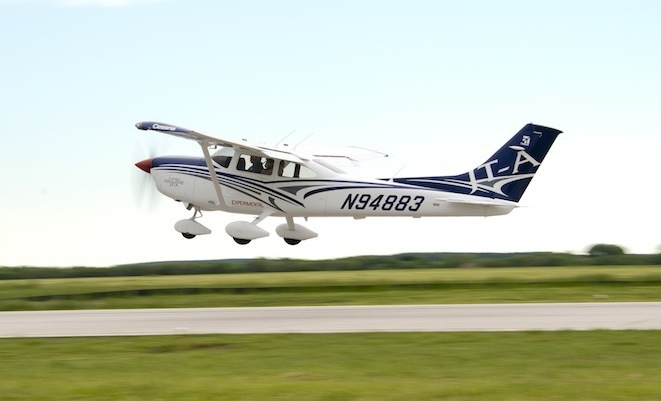 Cessna’s Jeff Umscheid said the Turbo Skylane is the first aircraft powered by a diesel engine specifically designed for aviation. The Safran-made 227hp SMA engine in the Turbo Skylane JT-A is uses 42 liters per hour of the typically lower-cost Jet-A fuel at the estimated maximum cruise speed of 156kt. Flight at the maximum cruise speed demonstrates greater fuel efficiency, and it is expected to burn approximately 30 per cent to 40 per cent less fuel than comparable avgas engines. The Turbo Skylane JT-A has a seating capacity for four and an estimated range at max cruise speed of 1,025nm (1,893km).